Located in La Gamba this legendary ecolodge is the core site to explore one of the most famous birding hotspots in the world: Piedras Blancas & the Osa Peninsula! 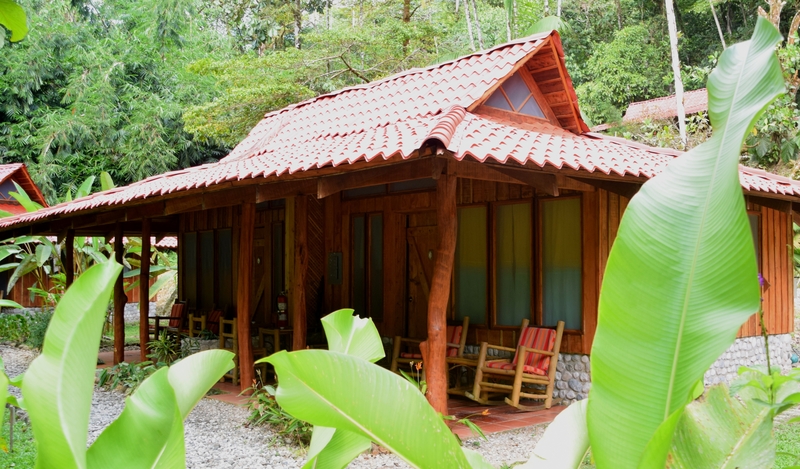 Hidden in the jungle of remote Piedras Blancas National Park in southern Costa Rica, Esquinas Rainforest Lodge is surrounded by thousands of acres of untouched wilderness. It is a retreat for nature lovers wishing to experience the sounds and sights of a tropical rainforest in a tranquil, undisturbed atmosphere. Located near the village of La Gamba, only three miles off the Panamerican gighway or a 30-minute drive from Golfito airport. Esquinas is part of a model project combining conservation, research and community development. We offer a large variety of tours and excursions that lead through a jungle with a biodiversity equal to nearby Osa Peninsula and Corcovado National Park. Esquinas has been awarded a “three-leaf” Certificate for Sustainable Tourism from the Costa Rican Tourism Board ICT. By donating more than $80.000 for the reforestation of 5000 trees on two farms in nearby La Gamba, Esquinas Lodge has become 100% carbon-neutral. Home to more than 300 species of birds, Esquinas Lodge deserves the birding hotspot adjective, specially because it is the best place to find the famous endemic to Costa Rica Black-cheeked ant tanager.